Previously, you'd need to use the calculate functionality to interact with the timeline itself. 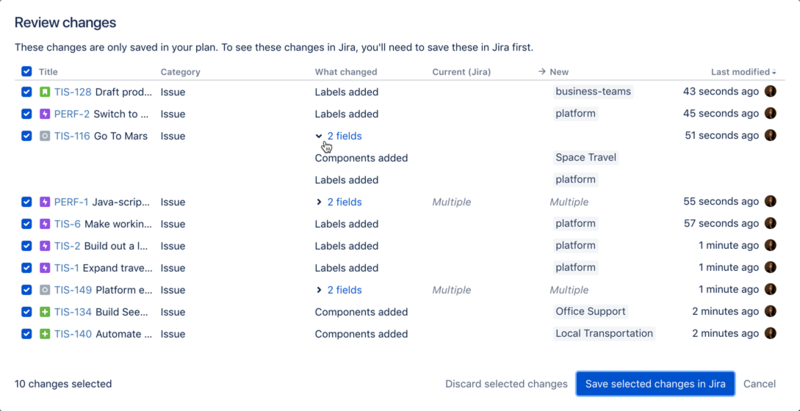 When you do this, Portfolio for Jira would calculate the scheduled start and end dates of the issues, and then create a realistic schedule of these issues. There wouldn't be any visual indicators of what these calculated changes are, and the changes themselves would be directly implemented in the plan. 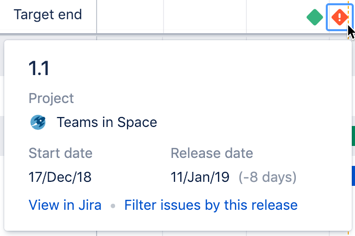 automatically schedule work, by letting Portfolio for Jira optimize your work based on known issue details. 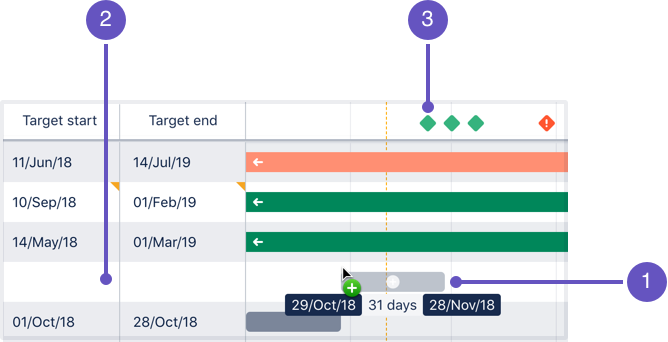 The optimized changes will be displayed in purple stripes for your reference — you can choose to accept these changes, and these changes will then be implemented in your plan. If you set dates for issues that conflict with the dates of their corresponding parent or child issues, you'll explicitly get a warning message for it. This makes it easy for you to quickly fix any dates that may have been mistakenly updated. 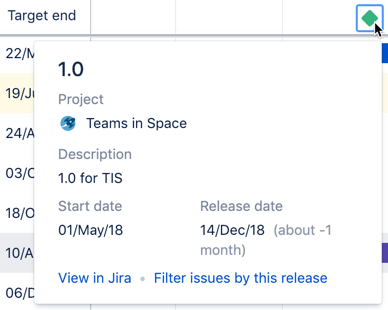 If you set target dates for an issue that clash with the due dates coming from Jira, you'll need to modify these dates accordingly. If you're adding an issue to or removing an issue from an active sprint, note that this will affect the scope of the sprint in progress. In the Review changes dialog, a warning will be shown for such changes on hover.